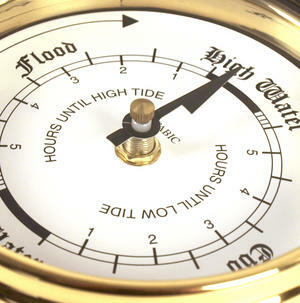 Ideal For Sailing Boats and sea shore homes. Made from folded brass so requires NO polishing! 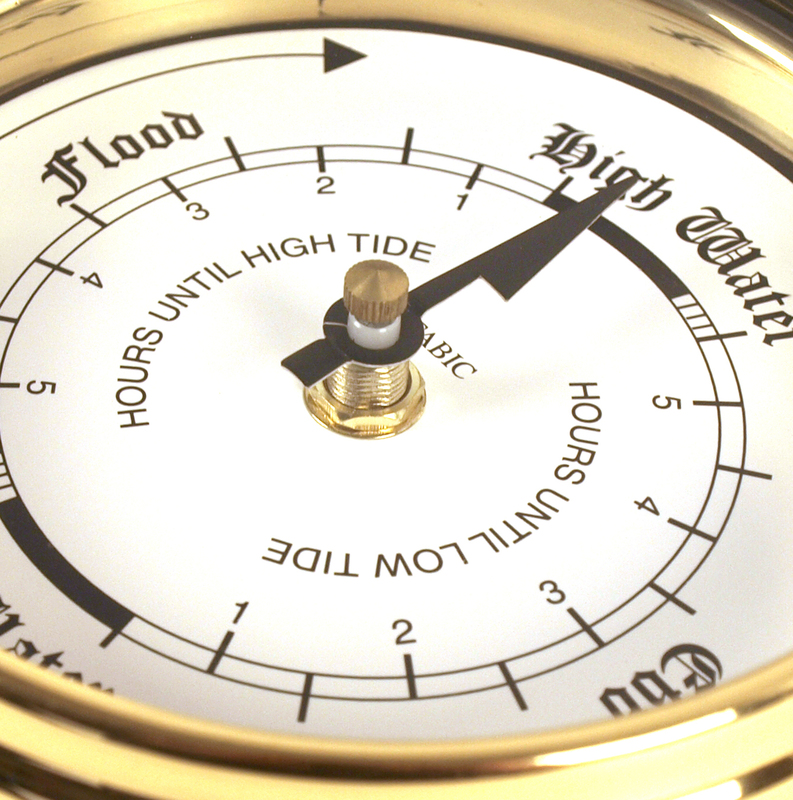 Gives ebb / flood and high and low tides for your area. 15cm diameter and 5cm deep.